Following a visit to Camp David in 1994, Benjamin Barber became an informal consultant to the Clinton White House, working with a President who was an astonishing listener and synthesizer of ideas. This book features an introduction reflecting on Clinton's 'vision' problem and on... read full description below. In 1994 Benjamin R. Barber was invited by President Clinton to participate in a seminar on the future of democratic ideas and ideals. Following their meeting, Barber became an informal consultant to the Clinton White House, working with a president who proved to be an astonishing listener open to a variety of ideas. Barber's experiences were unexpected and enlightening-the most unpredictable being his interactions with the president himself. 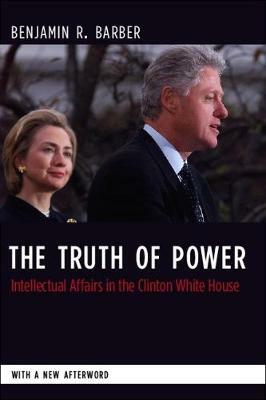 Barber's meditation on Bill Clinton's tenure in office offers a balanced and complex portrait of the Clinton administration, especially in its relationship to America's intellectual and scholarly community. Barber also identifies the true faultlines of power that future candidates must negotiate if they are to win an election. For this edition, Barber has written a new afterword reflecting on Clinton's vision problem, his controversial role in shaping today's Democratic Party, and his efforts to confront the challenges of interdependence and terrorism. He concludes with a provocative assessment of Hillary Clinton as a Democratic primary candidate in the battle for the presidency.